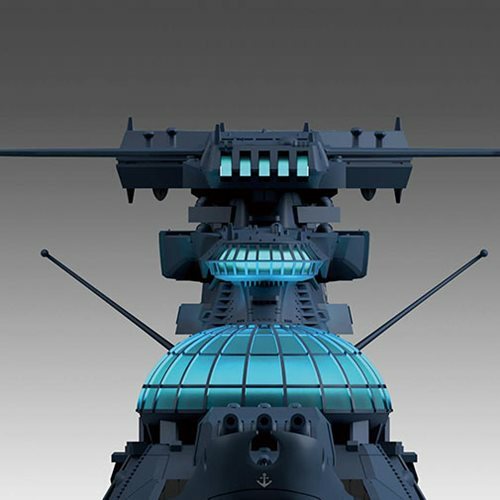 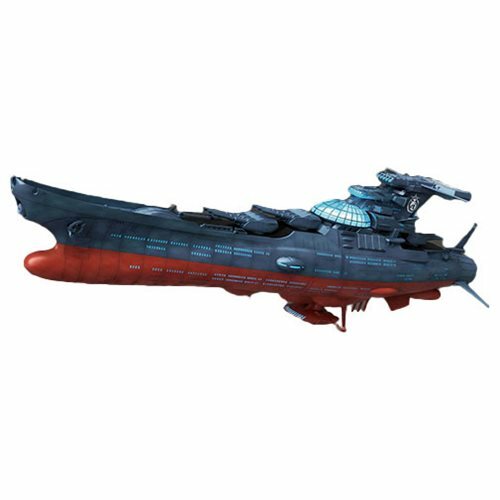 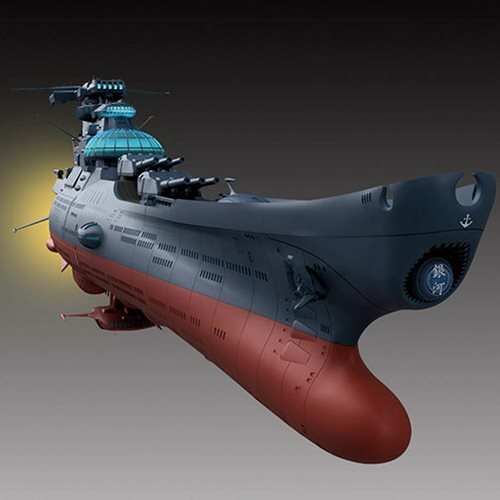 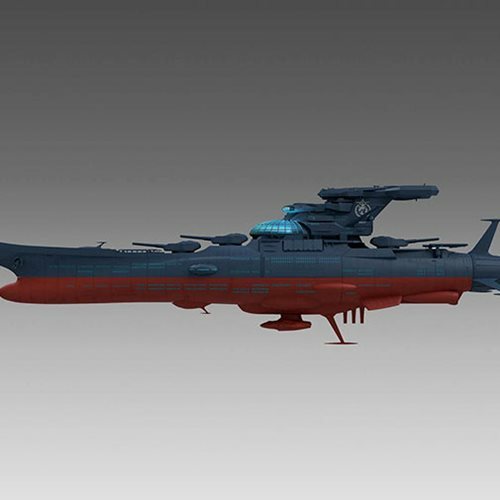 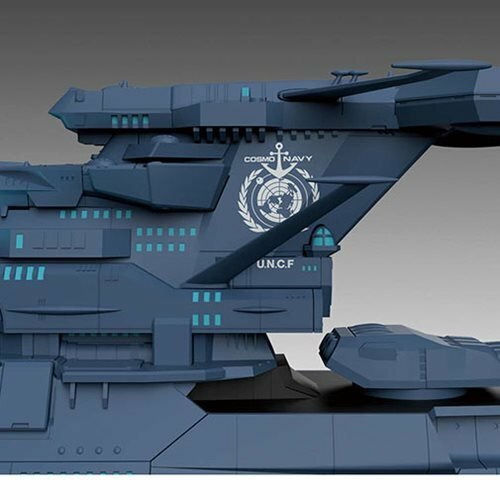 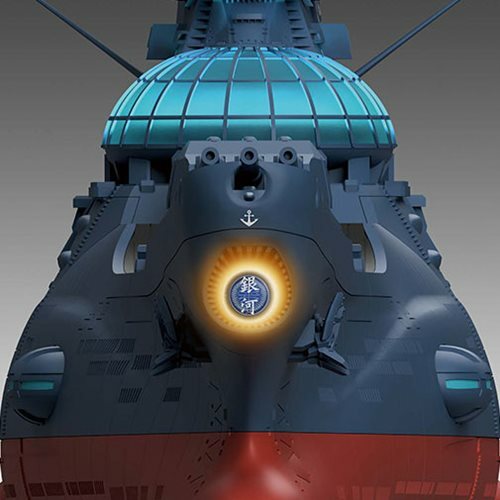 The Star Blazers 2202 Wave Motion Experimental Ship Ginga 1:1000 Scale Model Kit is a must have for fans of the hit Star Blazers2202 anime series. 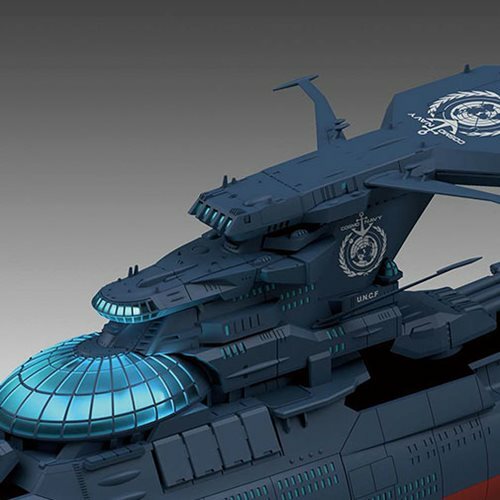 The model kit includes a display base, 1x Cosmo Zero, Missile-equipped Cosmo Zero, 2x Cosmo Tiger, 2x 3-seater Cosmo Tiger, 18x runner, 1x water-slide decal sheet, 1x foil sticker sheet, 1x LED unit (blue), and instruction manual. 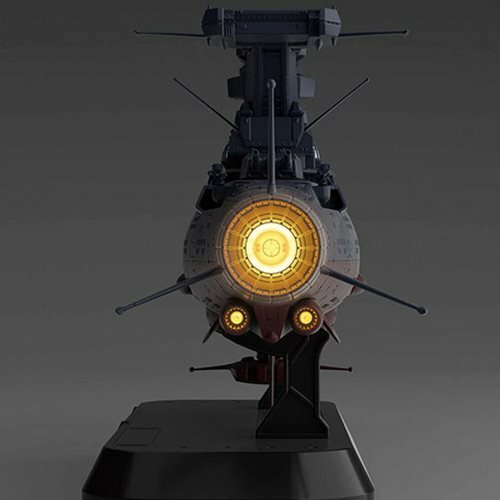 Measures about 5-inches tall.